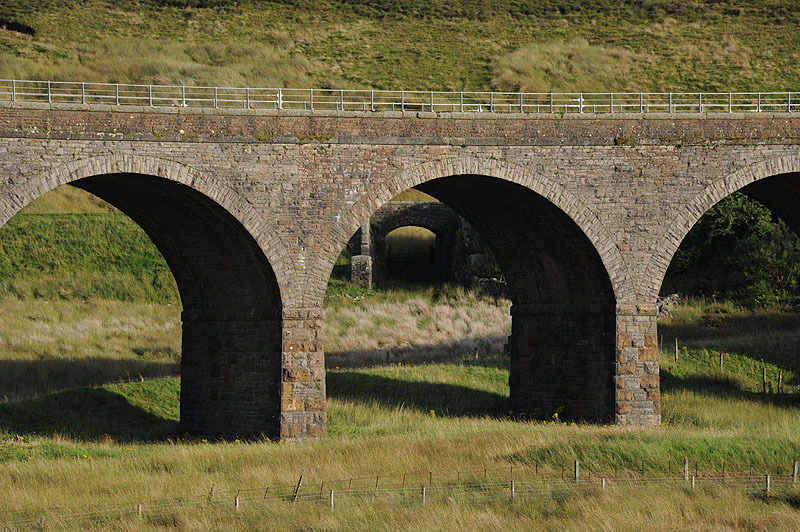 12 arches, 50 ft high, 227 yards long. 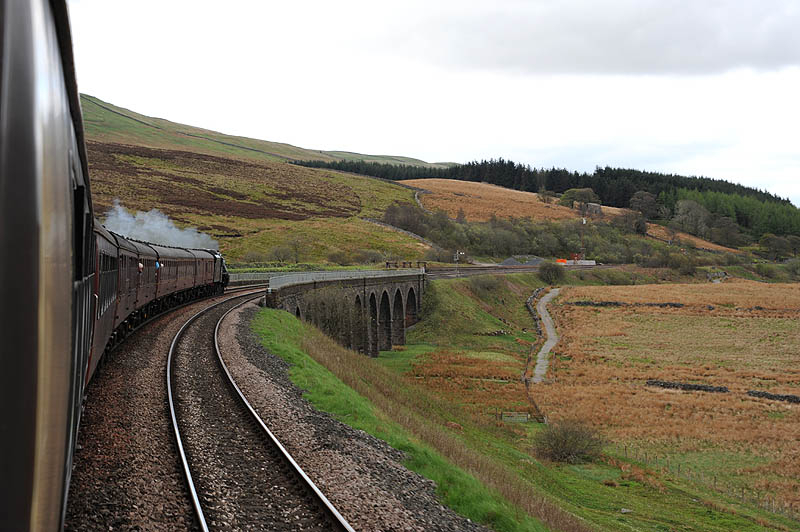 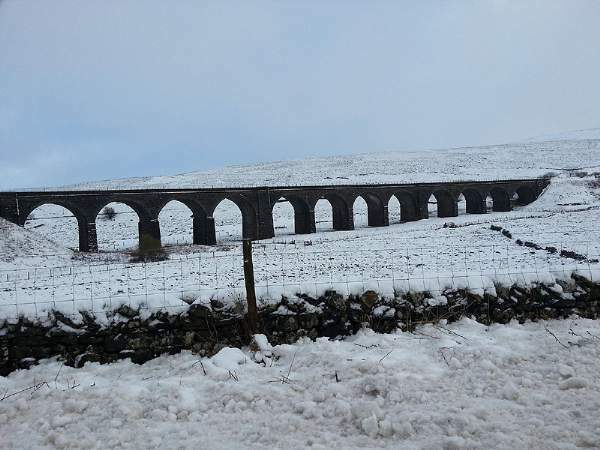 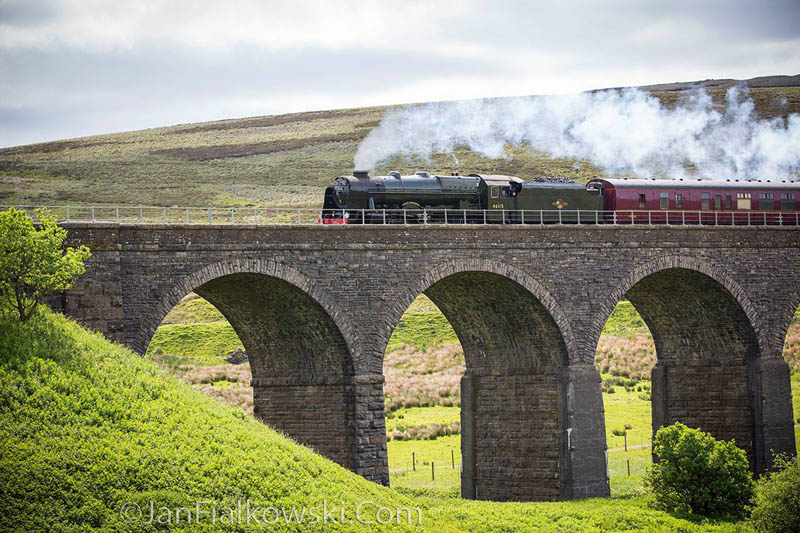 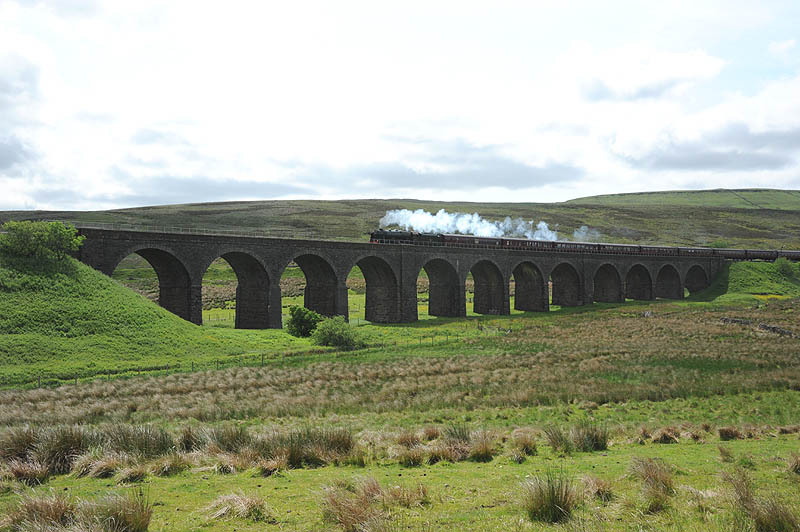 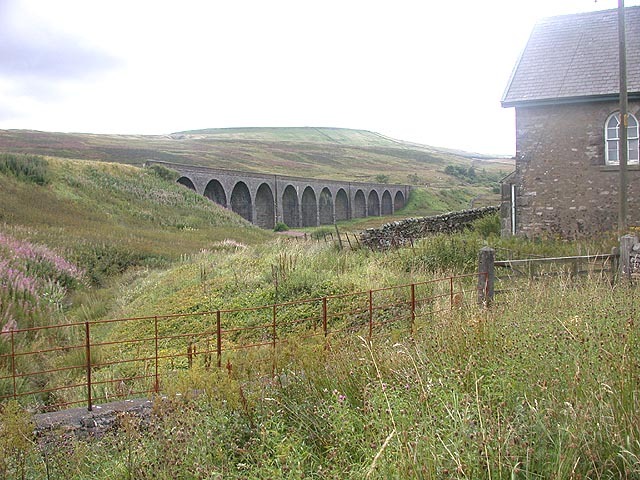 Dandry Mire/Moorcock Viaduct is just a few hundred yards from Garsdale Station on the Settle to Carlisle Railway. 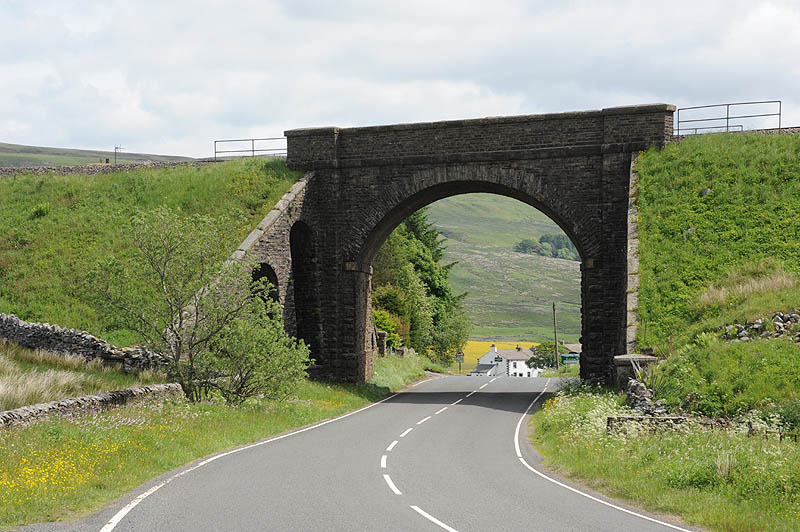 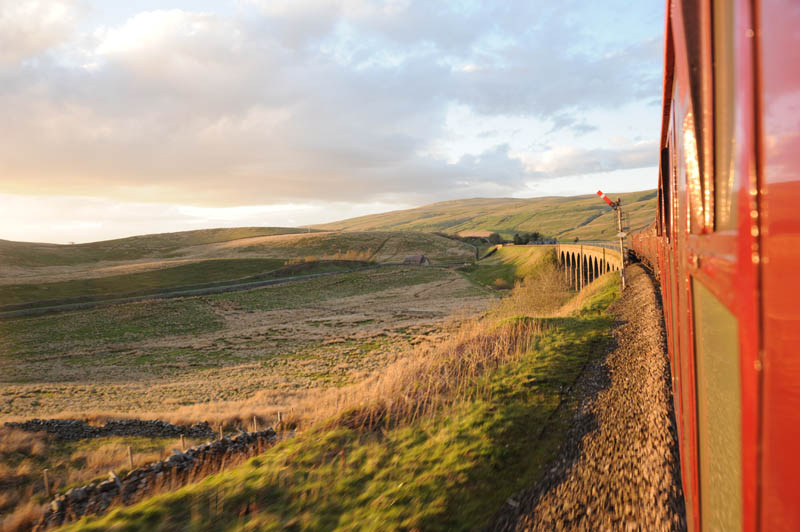 Garsdale head is on the Cumbria and North Yorkshire Border, within the Yorkshire Dales National Park. 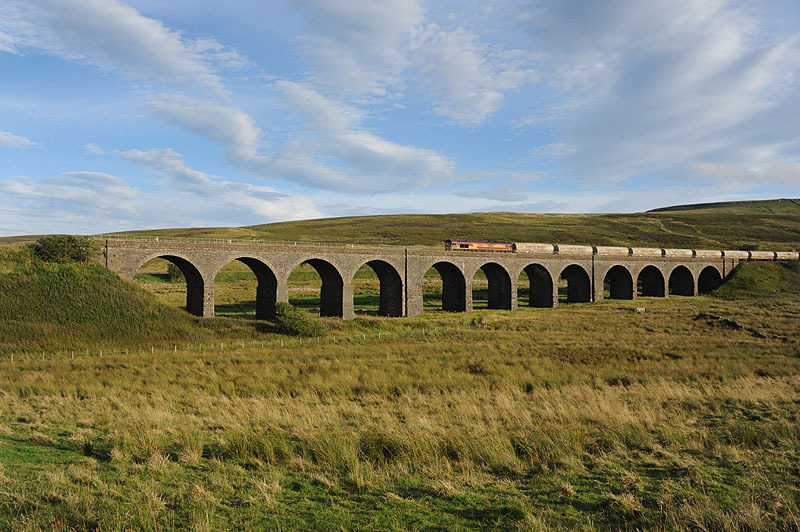 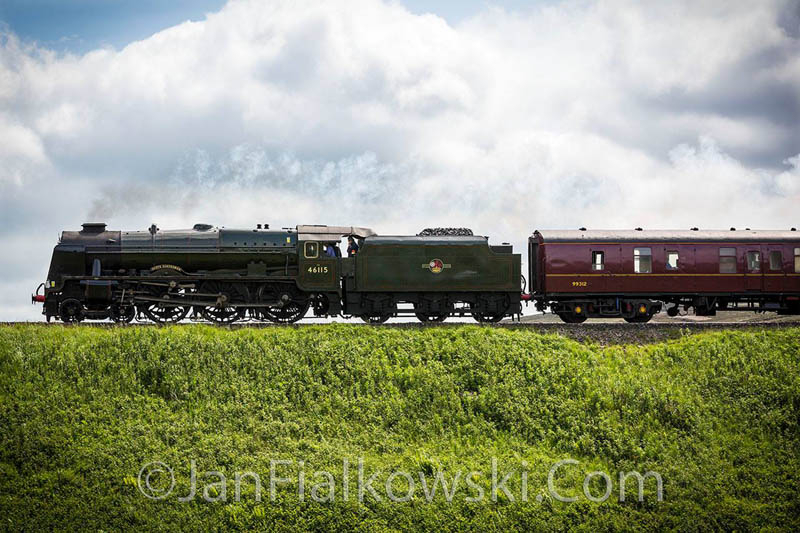 Originally this crossing of Dandry More was planned to be an embankment, but when construction started wagon load after wagon load of material – some ¾ million cubic feet of earth – disappeared into the Mire and so a viaduct was built.